We love our cell phones. Sometimes even a little too much. They do so much for us and keep us in touch with family and friends in so many ways. With the holidays coming up, this is a good time for a mobile tech update, in case you’re in the market. There are many new phones available, operating system milestones, and even kid-friendly cell phone alternatives. We’ve summarized some of the newest items and trends for you below. 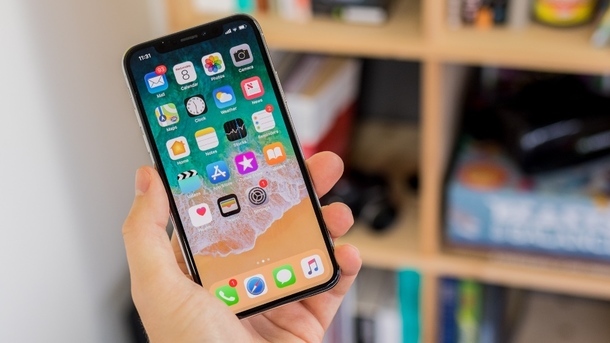 Apple recently announced three new iPhones, which will officially replace the iPhone X. The XS, XS Max and XR are the phones to watch. Be forewarned, though, as these will set you back a pretty penny if you’re looking for an iPhone XS. The XS and XS Max are essentially the same phones in two different sizes. The XR is the least expensive, colorful one with a few concessions. Prices for the 64GB XS Max, XS and XR are respectively, $1099, $999 and $749. You can drop up to $1449 for the 512GB XS Max if enormous storage is what you need. The iPhone XS and XS Max both boast two sizes (5.8” and 6.5”) with super retina displays. Both have dual 12mp camera and 7mp front-facing camera. They also have strong water-resistance ratings and longer battery life than iPhone X, along with several other attractive features. The big deal though is the improved camera, thanks to the power of the A12 Bionic chip inside. The iPhone XR, billed as the “cheaper” iPhone offers a 6.1” screen, with a single camera. Battery life offers an additional 1.5 hours per day over the iPhone 8 Plus, and it also runs on the A12 Bionic chip. For you Android lovers, we wish a happy 10th birthday to the Google Android operating system! First launched in September of 2008, this OS has come a long way in its role of software for nearly all smartphones not made by Apple. New Android phones that were introduced in October include the LG V40, which brings five cameras (three on the back and two on the front), 6GB ram, and 64GB storage. Wireless charging and two colors round out this strong offering. Google Pixel 3 and 3XL bring some of the best smartphone cameras, especially with the new Night Sight feature (coming in November). The light and detail this feature offers photographers who shoot at night are rumored to be game-changing. Along with Razer, and Samsung’s newest Galaxy offering, Android fans are sure to find a new phone to love. If you have young children that you want to be able to connect with, you typically run into a problem. A flip phone is too complicated for young hands, and a smartphone is too advanced for the little ones. Enter Relay, a child-friendly alternative to the smartphone rabbit hole. Designed in size and functionality for kids as young as 4, this phone can instantly transmit a child’s voice either through another Relay device or an app downloaded onto a family member’s phone. Kids can connect with parents in a simple way. Think of it as a walkie-talkie but with a much longer range. Holiday shopping is in full swing, and whether you’re buying gifts or a new toy for yourself, you can use this post as a starting point in your quest. And don’t forget—the home automation IDS installs can be used on any smartphone via an app. Contact us today for a free consultation on your smart home dreams, and we’ll also discuss how your smartphone can work with that new technology. 516-625-6060.